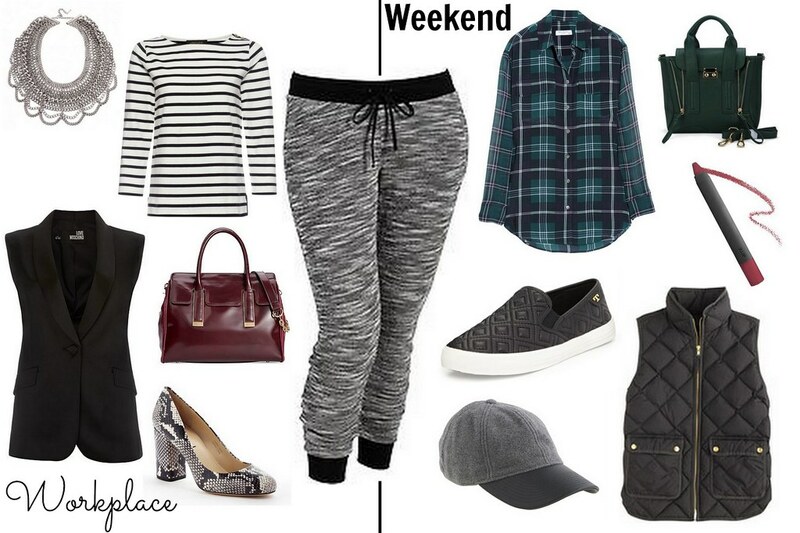 As I mentioned in yesterday’s post, I’m fully embracing the comfy chic trend. The latest edition to my wardrobe are these Old Navy jogger pants; I found them on sale in stores (they’re sold out online, but here are some similar ones). You’ll get to see next week how I’ve styled them, but for today, I wanted to share some inspiration into how you can style them this weekend and then wear them to work on Monday. I love how versatile they are! Speaking of the weekend … what are your plans? I think mine will consist of catching up on some magazines, digging into the book I’m reading and heading to the second-to-last farmers market of the season. Where has this year gone? !